The Avengers may be about to save the world in their corner of the Marvel Cinematic Universe, but over in Cloak & Dagger land, the stakes are mostly over teenage angst. And that's just fine for Freeform, the network which will be launching the Marvel series this summer, based on the popular comic book duo and not the 1984 Dabney Coleman spy movie for kids. The series was given a prominent debut spot at this year's SXSW and was greeted with solid reviews, and a new trailer, I must admit, has it looking like a potential hit. 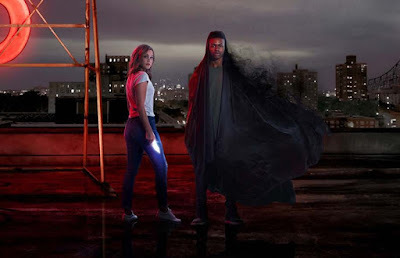 Marvel’s Cloak & Dagger is the story of Tandy Bowen and Tyrone Johnson two teenagers from very different backgrounds, who find themselves burdened and awakened to newly acquired superpowers which are mysteriously linked to one another. Tandy can emit light daggers and Tyrone has the ability to engulf others in darkness. They quickly learn they are better together than apart, but their feelings for each other make their already complicated world even more challenging. Cloak & Dagger hits Freeform on June 7th.